N 11° 19' 5" and W -12° 16' 59"
Labé in Labe Prefecture (Labé Region) with it's 58,649 citizens is a city in Guinea about 155 mi (or 250 km) north-east of Conakry, the country's capital city. Local time in Labé is now 03:41 PM (Saturday). The local timezone is named Africa / Conakry with an UTC offset of zero hours. We know of 8 airports in the vicinity of Labé. The closest airport in Guinea is Labe Airport in a distance of 1 mi (or 1 km), North-West. Besides the airports, there are other travel options available (check left side). There is one Unesco world heritage site nearby. The closest heritage site is Bassari Country: Bassari, Fula and Bedik Cultural Landscapes in Senegal at a distance of 117 mi (or 188 km). When in this area, you might want to pay a visit to some of the following locations: Pita, Lelouma, Koubia, Dalaba and Tougue. To further explore this place, just scroll down and browse the available info. Let's start with some photos from the area. Fouta Djallon is a highland region in the centre of Guinea, West Africa. The indigenous name in Pular is Fuuta Jaloo. The origin of the name is from the Fula word for the region plus the name of the original inhabitants, the Yalunka or Jalonke (French: Djallonké), a Mande people closely related to the Susu.. Located at 11.3175, -12.2897 (Lat. / Lng. ), about 0 miles away. Labé is the main city and administrative capital of the Fouta Djallon region of Guinea. It has a population of about 58,649 (2008 est). It is the second largest city in the country after the capital Conakry. Labé is situated some 450 km northeast of Conakry close to the geographic centre of Guinea. Located at 11.3167, -12.2833 (Lat. / Lng. ), about 0 miles away. 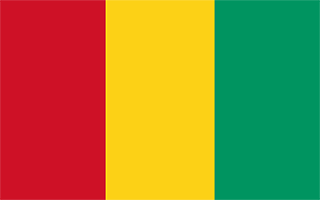 Labé is a prefecture located in the Labé Region of Guinea. The capital is Labé. The prefecture covers an area of 3,014 km. ² and has an estimated population of 204,000. Located at 11.3181, -12.2861 (Lat. / Lng. ), about 0 miles away. Tata Airport is an airport serving Labé in Guinea. The airport was formerly paved but is now entirely grass/dirt due to plans to repave the entire runway that never occurred. There are currently no scheduled passenger flights to Labe, but the airport received passengers up until the mid-2000s through regional carriers: Air Guinee and Union des Transports Africains (West Coast Airways). Located at 11.3382, -12.29 (Lat. / Lng. ), about 1 miles away. Garambé is a town and sub-prefecture in the Labé Prefecture in the Labé Region of northern-central Guinea. Located at 11.2667, -12.3833 (Lat. / Lng. ), about 8 miles away. Hafia is a town and sub-prefecture in the Labé Prefecture in the Labé Region of northern-central Guinea. Located at 11.2167, -12.4 (Lat. / Lng. ), about 11 miles away. Kaalan is a town and sub-prefecture in the Labé Prefecture in the Labé Region of northern-central Guinea. Located at 11.3167, -12.1833 (Lat. / Lng. ), about 7 miles away. POPODARA Popodara is a town and sub-prefecture in the Labé Prefecture in the Labé Region of northern-central Guinea. Located at 11.4, -12.4 (Lat. / Lng. ), about 10 miles away. Noussy is a town and sub-prefecture in the Labé Prefecture in the Labé Region of northern-central Guinea. Located at 11.1833, -12.2 (Lat. / Lng. ), about 11 miles away. Tountouroun is a town and sub-prefecture in the Labé Prefecture in the Labé Region of northern-central Guinea. Located at 11.4167, -12.2833 (Lat. / Lng. ), about 7 miles away. These are some bigger and more relevant cities in the wider vivinity of Labé. These are the most popular locations in Guinea on Tripmondo.